The St Patrick’s Day Festival in Dublin has always included a theme for its festival parade each year. “Ireland You Are…” is the 2017 Festival Parade theme. The St Patrick’s Festival Parade officially opens the St Patrick’s Day celebrations with marching bands from Ireland, France, Germany, Switzerland, USA and the Bahamas livening up the streets and getting feet tapping as they march through the heart of Dublin city. St Patrick’s Day celebrations will include the usual carnivals, fun and free entertainment and amazing street pageants. The parade will be lead by Olympic sailing silver medalist Annalise Murphy. This year, there are changes to the parade route. 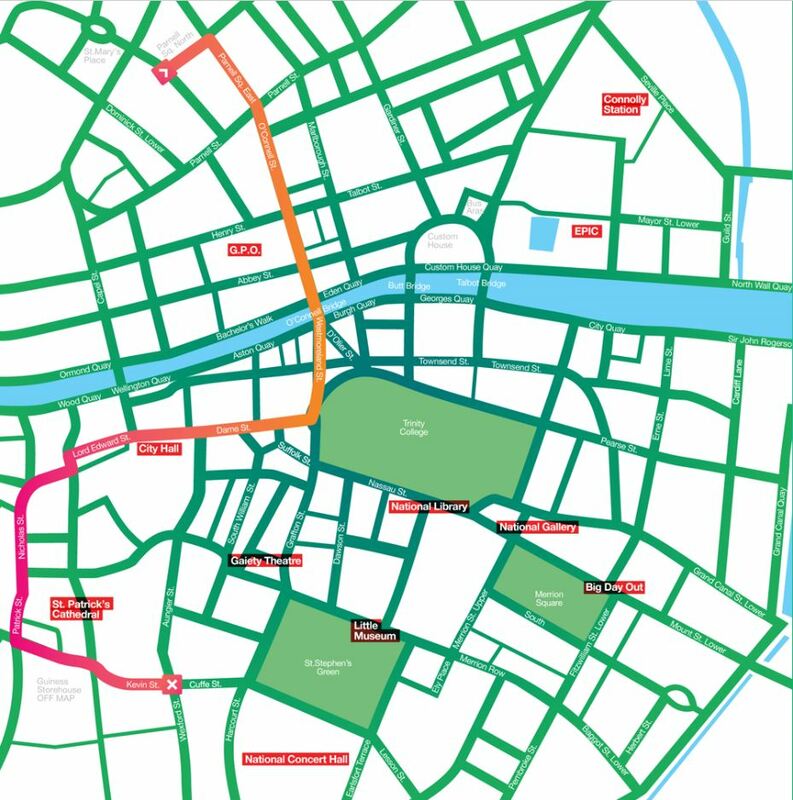 The parade will now come down the East side of O’Connell Street (Clery’s side) and on to Westmoreland Street. It then winds it’s way down Dame Street and Lord Edward Street and then passes by Christchurch Cathedral and along Patrick Street. The parade route has also been extended to Kevin Street and spectators will be able to see the parade on Kevin Street. St Patrick’s Festival is the biggest event of the year and if you’re planning on being in Dublin around St. Patrick’s Day, it’s advisable to book your Dublin hotel before you arrive. Lá Fhéile Phádraig Sona Daoibh!